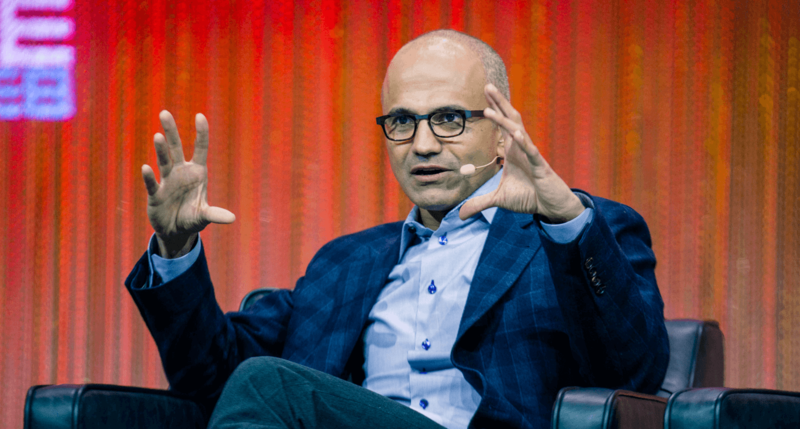 tl;dr: Microsoft’s cloud revenue is growing, but how does it stack up to the competition? And more importantly: Will they hit their own revenue goals? Editor’s note: Today’s article is a collaboration of journalist Ron Miller and your humble servant. Let’s talk clouds and dollars! Microsoft is in the midst of a soul-searching transition from a desktop software company to a cloud shop. Its pace of change has been rapid. But before we declare the still nascent Satya Nadella era a success, we need to slow down and take a closer look. A key measuring stick: Microsoft promised that its commercial cloud revenue—more on what that means later—will reach a $20 billion revenue run rate in its fiscal 2018. That’s up through the first half of calendar 2017. We’ve seen the company’s cloud numbers rise, but it’s worth noting that counting cloud dollars is not an exact science. That’s something Om Malik complained about awhile back in a post called Why Cloud Business Needs Better Metrics. Malik rightly pointed out what those of us who cover this space know all too well: It’s impossible to do meaningful comparisons between cloud revenue numbers because everyone measures them in their own fashion — it’s as hard to apple::orange as it is to cloud::cloud. While we try to parse the numbers and figure out just how well Microsoft is doing, keep in mind that this is very much a long game. Nadella is preparing his company for the next computing era, and he hasn’t completed the change-over. It’s early, however, and nobody has won all the prizes just yet. In fact, the race is only getting started. Like any company, Microsoft can’t leave its old business behind and move to a completely new model in a single stroke. Instead, Microsoft’s transition from legacy software to cloud services is a paced transition. Is it moving too slowly? Perhaps not. Box CEO Aaron Levie recently published a piece in TechCrunch entitled Now the cloud wars (really) begin. Levie is right. In spite of the fact that AWS turned 10 this year, the technology world has barely scratched the surface of the cloud market potential. Taking stock of the cloud wars, AWS has a huge market share lead by nearly most measures. That’s not surprising as it was running alone on the track for years before the competition even showed up. That’s changed. Now everyone from Microsoft to Google to IBM are racing to win. Amazon’s revenue lead is measurable. For example, Amazon reported that AWS, its cloud compute and storage product line, had revenue of more than $2.5 billion in its most recent quarter. Microsoft’s aggregate “commercial cloud” revenue run rate was similar, but that figure includes far more than Azure, a more pure AWS competitor, and therefore comparison. Happily for the upstarts, being behind today doesn’t mean that all is lost—the cloud market potential is sufficiently large that there is room for several players to grow. And as you could guess, conventional wisdom says that Microsoft’s extant enterprise buy-in will help it carve out a material slice of whatever comes. Of course, everyone wants to win. Let’s check in on Microsoft’s $20 billion promise and how it stacks up to the performance of other companies. We highlight this because it underscores when we look at commercial cloud revenue from Redmond and AWS from Seattle, we are, again, not looking at the same thing. Just don’t get them twisted. Summing our previous work, Amazon’s core cloud business of compute and storage is larger than Microsoft’s. But what Microsoft promised in its $20 billion number is broader. Will the company meet its goal? To begin, let’s do a chart reset. Updating from our prior work, here’s the set of graphs showing our currently-known Microsoft commercial cloud revenue and growth. Let’s think simply. Microsoft has now reached the halfway mark. Also, it added around $600 million in new revenue run rate on the commercial cloud side of things in the quarter. To make another comparison, we can stack up Microsoft’s various fiscal third quarters’ growth rates to better understand how the company is performing. As you will note in the above charts, Microsoft started to report percentage growth far earlier than it did aggregate commercial cloud run rate in dollar terms. Keep in mind the law of large numbers when observing those growth figures. Now is the company on pace? It has 7 quarters until its fiscal 2018 ends. If it only adds its last-quarter $600 million sum, it will fall short. That would be an additional $4.2 billion in run rate, leaving the firm at $14.2 billion by the end of that fiscal year. Is a $600 million boost in run rate out of the ordinary? Not exactly. From its Q1 to Q2 of fiscal 2016, the company added around $800 million in run rate. The preceding period it added an ambiguous nearly nothing. Microsoft noted that it had more than $8 billion in run rate one quarter and $8.2 billion the next. You parse that. All that is to say that merely taking the company’s recent sequential delta is likely too simplistic for our purposes. But if Microsoft wants to hit its revenue goal it is obvious that the company will have to accrete more run rate per quarter moving forward than it did in its preceding quarter. I’ve yet to hear that the promise is off, so we can assume the company expects to meet its expectations. We also have IBM, Cisco, Oracle, Rackspace, DigitalOcean and various telcos grabbing their own piece of the large and growing cloud pie. Lest you think these others are also-rans, consider the sums we are discussing: The cloud infrastructure market has the potential to generate tens of billions in revenue. If you compare it to the search engine world where Google has a strong lead, you would think it wouldn’t matter what also-rans were doing at the bottom of the market. But it still adds up to millions and millions of dollars in ad revenues for the folks with a few percentage of market share. Given Levie’s thesis that we are just starting in cloud, you can’t rule anyone out. But you can assume that if things remain equal (not a given, actually, in this market), AWS and Microsoft will get end up most market share, and others players will find a way to split the substantial amount that remains—likely a big number by itself. Whether we are talking AWS, Microsoft, Google or anyone else, it’s a lot of dollars. So much so that for the short term, goals like $20 billion run rates are probably useful as measuring sticks, but not as critical as investors will likely believe. The long game is long. Featured Image via Flickr user OFFICIAL LEWEB PHOTOS under CC BY 2.0. Image has been cropped.